Lexington, Virginia attracts many types of people. It’s the kind of place where professors, artists, farmers, college students and retirees all feel right at home. 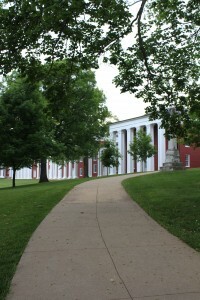 Some people move to Lexington, VA to work for a college. Some people move here to be closer to their grandchildren. Some people move here because they randomly took the I-64 exit and happened to fall in love with the area. Beautiful natural surroundings and a strong sense of community enhance the quality of life for Lexington, Buena Vista and Rockbridge County residents. There are many reasons to move to Lexington, Virginia and the surrounding area. 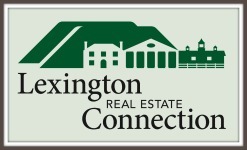 When you decide to make your move, Lexington Real Estate Connection’s Lexington, VA real estate agents are here to help! Take a hike. Cast your line. Ride a bike. Tube down the river… Outdoor adventures are part of the lifestyle here in Lexington and Rockbridge County, Virginia. 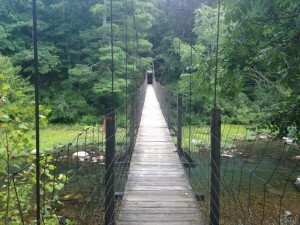 Whether your idea of fun includes high-adrenaline kayaking through Goshen Pass or an easy morning walk on the Chessie Trail, the area’s mountains, forests and rivers offer countless opportunities for an active outdoor lifestyle in the Shenandoah Valley. 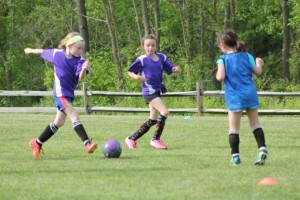 Kids playing soccer at Jordan’s Point on Saturday mornings. Families making smores over an open fire. Teens walking downtown for ice cream at Sweet Things… Raising children in the Shenandoah Valley is simpler than the frenzied parenting that occurs in metro areas. The school principal gives high-fives in the morning and the police captain helps organize the July 4th Bike Parade. It’s good to be a kid in Lexington and Rockbridge. 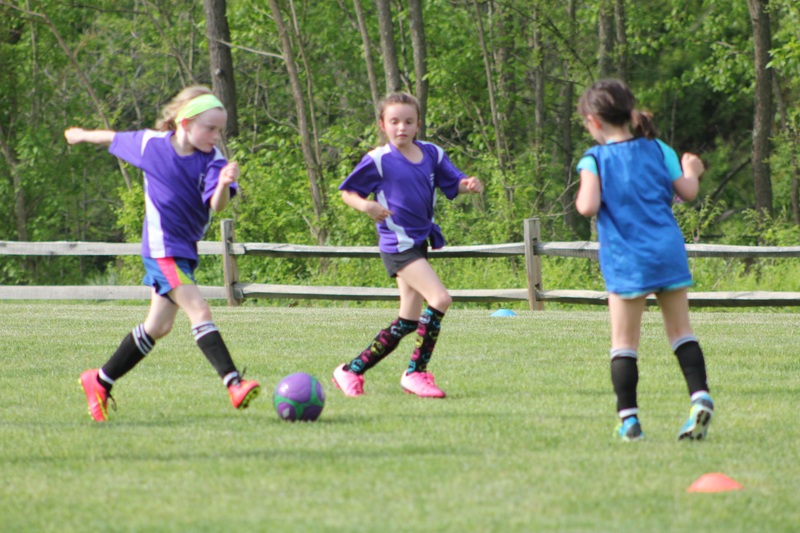 Kids have a wide variety of academic, athletic and social opportunities such as Lexington Lacrosse, chess club, music lessons, Nature Camp, Young Life, dance classes, horseback riding, Rockbridge United Soccer Club and Fine Arts in Rockbridge and much more. Retirement is no longer defined by rocking chairs and bingo. Retirees in Lexington, VA often have more energy than the average 30 year-old! Lexington offers countless ways to stay active, engaged and connected during retirement. Lifelong learning is highy valued in Lexington so you’ll often find retirees auditing classes at Washington and Lee University or attending public lectures at VMI. Yoga, classes at the Y, walking trails, golf and bicycling are some of the ways to stay fit. Volunteerism is also important to Lexington area retirees. Make friends and give back to the community by joining a service club, becoming a docent, building for Habitat, joining the Historical Society or volunteering at the SPCA. Lexington area retirees may decide to build a dream home, move into a one-level house, restore a Victorian home or live in an upscale apartment. You are sure to meet many other retirees who moved to Lexington for the high quality of life and the welcoming community. Washington & Lee University, Virginia Military Institute and Southern Virginia University all have devoted alumni and tightly-knit communities. Whether you’re a recent grad, a new professor, a proud college parent or a nostalgic alum, you’ll be warmly welcomed to the neighborhood. Whether you dream of a horse farm, vineyard, alpaca farm, orchard or family farmette, the Shenandoah Valley of Virginia is for you. The roads of Rockbridge County meander by acres of fertile soil, bucolic pastures and tidy stables. This is a part of Virginia where large tracts of beautiful land can still be obtained for a reasonable price. Why live on a lot the size of a postage stamp when you can own farmland in idyllic Rockbridge County, VA?